The Walnut Canyon Bridge across Walnut Creek on an old alignment of Route 66 in Winona, Arizona. 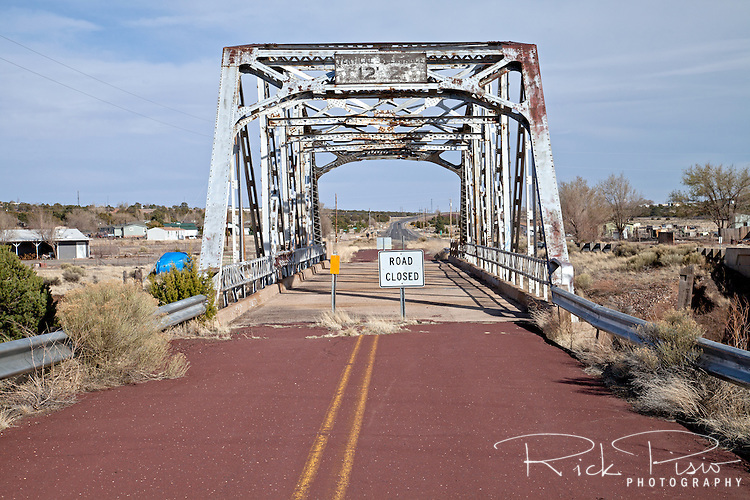 Built in 1924 as part of the Flagstaff-Winslow road the 110 foot long Parker through truss bridge carried Route 66 traffic until 1937 when The Mother Road was routed south. The town of Winona was not as prosperous as many of the other small towns along 66 and gained its greatest notoriety by being mentioned in Bobby Troup's Route 66 song. In 1988 the National Park Service listed the Walnut Canyon Bridge in the National Register of Historic Places.